Reading is a huge part of my life. It informs everything I choose to write and share with my audience. Reading not only improves your brain’s connectivity, it also increases attention spans, focus and concentration. If you struggle to focus, reading can improve your attention span. When you read a book, all of your attention is focused on the story or gaining a better understanding of a particular topic — the rest of the world just falls away, and you can immerse yourself in every fine detail you’re absorbing. Book hoarding is a habit. It literally means ‘reading pile’. 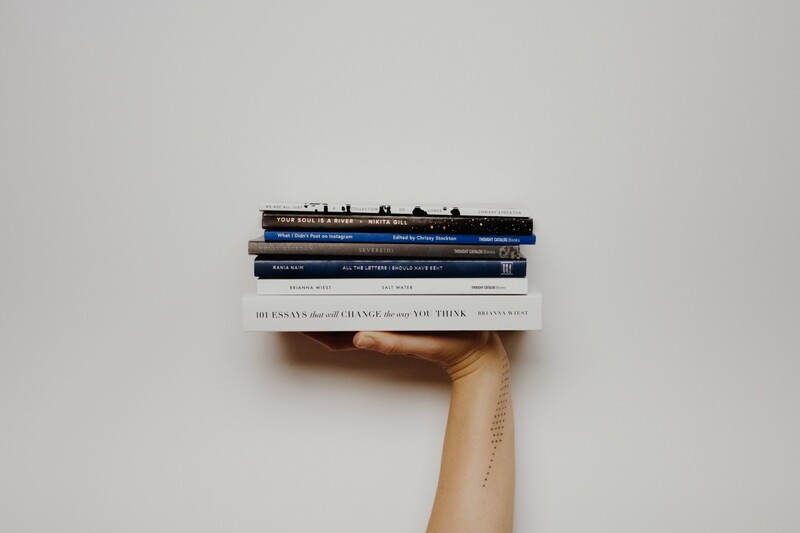 Tsundoku is a combination of several Japanese words, including “tsunde,” which means to stack things; “oku,” which means to leave for a while; and “doku,” which means to read. As the BBC pointed out recently, ““tsundoku” has the meaning of buying reading material and piling it up”. Tsundoku dates back to the Japanese Meiji era (1868–1912). The term can be found in print as early as 1879, says Professor Andrew Gerstle, who teaches pre-modern Japanese at the University of London. He says, “the word ‘doku’ can be used as a verb to mean ‘reading’” while the “tsun” originates in “tsumu”, meaning “to pile up”. While we all appreciate a library of good reads, many readers own more books than they can ever read. The comfortable feeling of not running out of good reads makes it really difficult to see tsundoku as an issue. Either you can’t possibly believe that Tsundoku is a personal problem, OR, you’re facing the sudden realization that you, too, suffer from tsundoku. I am typically reading 2–10 books in parallel. I finish most great books but not all books. If I am reading for urgent information or knowedge about a new topic, I tend to systematically skim to learn better, and faster. I don’t read every book cover-to-cover. Believing you do just sets you up for failure. Read books are far less valuable than unread ones. The library should contain as much of what you don’t know as your financial means, mortgage rates and the currently tight real-estate market allows you to put there. You will accumulate more knowledge and more books as you grow older, and the growing number of unread books on the shelves will look at you menancingly. Indeed, the more you know, the larger the rows of unread books. Let us call this collection of unread books an antilibrary. Instead of feeling guilty about books you haven’t read, you should see them as an opportunity to upgrade your knowledge, learn a skill, or improve yourself. The good news is, they’re available to you if you ever need them. The most important questions is: What will you do with all those unread books. Do yourself a favor and commit to reading even a page everyday. In the age of ebooks, Tsundoku is even more common. I read everywhere when I have even 5 minutes. It’s super convenient to pull out my iPhone 8 Plus and read a paragraph or two here and there. If you have a commute, use it. If you have a lunch break, use that. Eliminate one hour of television a day if you have to. The long-term benefits cannot be compared with the short-term pleasure of daily distractions. You can sort through your collection and donate the ones you may never read to people who will savor each word and give them the attention they deserve. If your habit is more about the piles than the books, you can easily organise them better, and get it under control. You could get a better bookshelf and decide how you want to organise them to help you read more everyday. When you go digital, Tsundoku becomes even more difficult to control. Even though collections need not take up a ton of space, you could still hoard hundreds or even thousands of books and magazines without taking over your home. Choose to read with purpose. Are you reading for pleasure, information, facts or you are reading to undertand a topic. Learn speed reading, and choose to ignore extraneous details if you don’t need it. Here is my guide for reading a book every week. It’s never too late to start reading again!